If you&apos;ve been avoiding gluten and haven&apos;t had Weet-Bix in a while, then we&apos;d like to say welcome back. Because Gluten Free Weet-Bix is now available in store. &apos;But how?&apos; we hear you ask. Well it&apos;s made from sorghum, an ancient grain that&apos;s naturally gluten free and tastes great. Gluten Free Weet-Bix are made the same way as regular Weet-Bix, except in a separate factory dedicated to making gluten free products. • Suitable for low FODMAP diets. This type of diet is not recommended for long periods. See your doctor or dietitian for advice on an eating plan that best suits your needs. 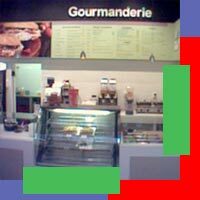 * Based on total polyphenol content. Polyphenols are natural antioxidant compounds found in plant foods. 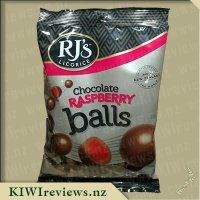 I have a friend who is gluten free, and I often think how hard it must be so hard to let go of kiwi favourites. Weet-Bix has always been a staple in our household, so I was delighted when I heard they had created a gluten free version. 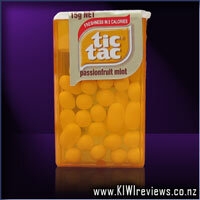 When it came time to try it, I was a little nervous that they wouldn&apos;t taste like &apos;real&apos; Weet-Bix. I was delightfully surprised and shared the news with my gluten free friend. She told me she had just been given a recipe that called for gluten free Weet-Bix so I passed some on so she could try some for breakfast, and make her recipe, on the condition that I got a little piece of her baking. She came to visit the next day delighted that she could have Weet-Bix again. It was my turn to try the biscuits, and they were good. My box was getting low at this point, but I am going to get some more and try some of my family Weet-Bix recipes so that I can cater for my gluten free friends when they come over. To sum up the review, the gluten free Weet-Bix are brilliant, they look and taste like the &apos;real&apos; ones so anyone who is gluten free can indulge in their traditional kiwi breakfast again if they want to. What excited me was that I could make family recipes for my children&apos;s school friends who are gluten free. The cost is a little high for me, to use these as breakfast Weet-Bix, as no one in my family has an allergy. But they are definitely reasonably priced to have in the cupboard for Weet-Bix cooking, to cater for those baking occasions when you want everyone to be able to have some. 1. Mix together Gluten Free Weet-Bix, quinoa flakes, flour, sugar, choc bits and apricots until well combined. 2. Place margarine and golden syrup in a small saucepan and heat gently until melted. 3. Mix bicarbonate of soda and water together then pour into margarine mixture. Add to dry ingredients and stir to combine. 4. Place tablespoons of mixture onto baking trays lined with baking paper. Bake at 160oC for 15-20 minutes. Cool on trays before serving. 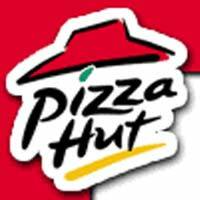 I was given the opportunity to try this product and even though my family at the moment is not gluten-free there have been times we have been and I also like to restrict the gluten in our diet. When on a gluten-free diet, I found the hardest meal of the day was breakfast. I found that many of the gluten free cereals were not that filling. 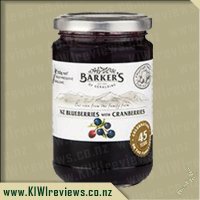 Now having the option to have a kiwi favourite for breakfast, that is also filling is great. When looking at the nutritional value on the box it seems very similar to that of normal weet-bix. The weet-bix were slightly darker in colour (this is the sorghum). I decided the best way to try this is the way I would use in my house the most. That is straight in a plate with milk. 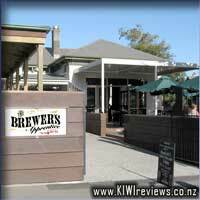 I found that the milk was more quickly absorbed than normal weet-bix and so more milk was needed. My first mouthful surprised me. It was actually more flavoursome than normal weet-bix - yum. 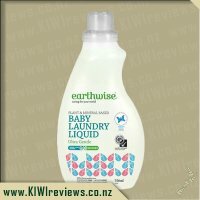 Although it was dryer in the mouth it was nothing a little more milk could not fix. This kept me going till lunch just like normal weet-bix would. I was happy to give my 3 1/2 year old a try - in which he asked for more and to also add a little to my 9 month olds rice cereal (it was nice to know I could add fibre without adding gluten). I thought that this weet-bix was definitely one that I would buy again to keep gluten down in our diets. Although a little more pricey than normal weet-bix and probably one that will not come on special much - I think it is worth it knowing that it was a filling breakfast. It is also good to know that it could be used in my weet-bix slice recipe if I had gluten-free friends coming around. I have a kid that is 8 and I have to watch what I give her to eat . She has ADHD and OCD so some food can make her very active . 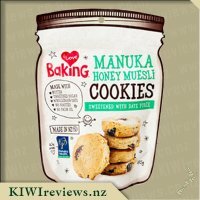 Going for gluten free food seems to agree with her and this new weetbix is great a more richer, tastier taste than the normal brand , great to make cookies and bars with as well as topping for a crumble . Great to make a smoothy in the morning with berries and yoghurt and soy milk . When I first seen it in the supermarket I thought humm I don&apos;t think she would eat that and cause the price of some gluten free foods is very expensive so I stood there and though about it and read the packet first . Go t home and she looked in the bags picked it up and wanted to try it and she loved it , so its now on our list every week . 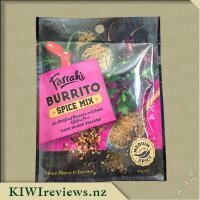 The only down side is there only one size it would make more scene to have a 1kg box like the other weebix and have recipe on the packet to try at home I&apos;m a baker and love trying new ideas . My three children adore Weetbix, and although we are not exclusively gluten free, we have many friends that are, and I like my children to be willing to eat all sorts of things - as we regularly are places at friends houses and the like where gluten free is the only option. As well as this, I was really keen to try them to compare the difference, as I have been a big Weetbix fan for a long time. In terms of price - it is pricey, but then a lot of gluten free / dairy free / allergy type food is, as it costs more to manufacture with the ingredients, strictness of the factory and processing, so I do understand it. I would have to say I probably would not buy it at full price - it is just out of our price range, but would definitely purchase if I needed a specific gluten free breakfast option. The texture and taste is very different to the normal Weet-Bix but I really enjoyed it. Weet-Bix and gluten free Weet-Bix are not the same product and I think it is unfair to compare gluten free anything with the "normal" I think it had a really "real" taste to it - and in my opinion appeared less sweet - which I definitely like. It reminded me of all bran or similar - which I enjoy. The biscuits themselves look different to " normal " Weet-Bix, but not so much so that my children did not recognise them. They did notice the different coloured box - which I think helps people identify it quickly both on the shelf and in their own cupboard amongst similar products. My children all eat it differently - one softened with hot water then milk and sugar, one with rice milk and sugar and the other straight milk. All of them remarked it tasted different, but all of them ate every bit! I like that it stays together better, but then I am not a " soggy cereal " type of person! Overall I liked this - and would definitely eat it again and recommend it to others to try. I would wait till it is on special as it is pricey. Thanks Sanitarium for letting me try it! I was really excited to be accepted to review the gluten free weetbix as I have been eyeing them up at the supermarket for quite some time but to be perfectly honest because of the stigma many gluten free products have (such as being dry, or taste like cardboard), I was not to keen on spending ths rrp on such a small box. I know that gluten free products cost more than general products but I still didn&apos;t want to spend that and was waiting for them to come up on special oneday. Upon receiving the weetbix even the kids were excited. All my kids love weetbix and miss 8 couldn&apos;t wait to try them out, so it was no surprises that the following morning all three requested weetbix for breakfast. I was however really surprised that all 3 of them stated that they tasted funny and they didn&apos;t like them. Miss 8 said they were weird and the black stuff in them made them yuck :( So as a cereal for my children they were unfortunately a big fail and I was really glad that I was not out of pocket thanks to receiving them to review. Not one to waste food I decided to use the remaining bix to make a slice in the hopes the kids would be more accepting of them. As the kids like ginger I thought id try a simple ginger slice as thought maybe the ginger would outweigh whatever the taste was they did not like. Mixed as a base the bix form nicely and make a pretty good slice base. Once complete I got the kids to try it out and they said it was definitely better as a slice with the other flavours than it was as a cereal. I also think it would possibly be ok as a crumble topping. My girls have always loved their Weet-Bix so when they were diagnosed with Coeliac disease this was a breakfast cereal that were all very sad to no longer be able to eat. 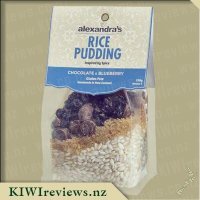 My family was really excited when this gluten free option hit the shelves and even at $6.89 a box it is very cost effective versus the muesli&apos;s that we have been purchasing in the absence of Weet-Bix. I have purchased many packets on special however so this Weet-Bix has definitely become a cost effective breakfast for us. The texture and taste is very different to the normal Weet-Bix but this doesn&apos;t seem to matter. To be honest I think every one has forgotten what "real" Weet-Bix tastes like so don&apos;t really compare this gluten free option against the original Weet-Bix but more judge it on its own merits. That is probably the bets way to approach this cereal. We eat this as we would with other breakfast cereals with milk and lots of it as this Weet-Bix absorbs plenty. Sometimes the girls will get some brown sugar to sprinkle on top but for the most part they seem happy to eta this plain. I like mine with brown sugar and raisins. Overall I am more than happy to give this to my family and they are more than happy to eat it. This is nutritionally a much better option than sugar laden processed cereal&apos;s and definitely cost effective for us. I am not sure I would choose this if we didn&apos;t have to be gluten free but I really appreciate that we have this as a breakfast option again and I will definitely continue to buy this. 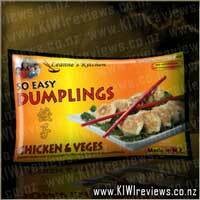 It is worth stocking up on when on special but still very cost effective at normal retail price. I haven&apos;t tried Weet-Bix in a while, but then again I haven&apos;t really eaten breakfast for a while either. 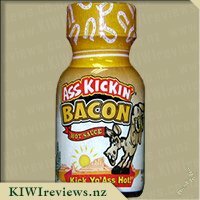 But seeing as I was on holiday, and had time to eat in the mornings, I gave this product a go. The packaging that it came in was appealing, but quite a contrast to the "blue-heavy" packaging of the original Weet-Bix, which makes me wonder how many kids would not want to eat it because it&apos;s different. 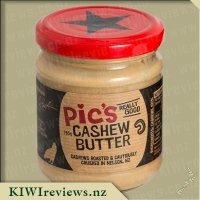 I&apos;ve seen the product shown on Paul Henry&apos;s show on tv, and it looked green. So I was pleasantly surprised when I opened the packet to find it had a very similar colour and look to original Weet-Bix. The biscuits were a bit flakier than what I am used to, and I had to be even more careful than usual when removing them from the packet. I&apos;m lactose intolerant, so I used soy milk with this product. I&apos;m not sure whether it was the milk, or the way that the Weet-Bix was made, but it didn&apos;t seem to absorb the milk as quickly as I was used to. While it almost fell to pieces in my hands when removing from the packet, once in the bowl, it was rather difficult to separate with my spoon. The flavour was familiar, but it was a bit dry, as it did not soak up the soy milk as quickly as I had hoped. With time, it would obviously absorb it, so I&apos;d have to prepare it earlier, and eat it after I&apos;ve completed my daily routines. I originally thought that it was a pretty good price for what you get (an almost identical food product to the original, but gluten-free) but when I saw that the original was priced at $3.69, almost half the price of this product, I really had to question whether it would be that important to eat Weet-Bix, when there are other gluten-free breakfast options available. My daughter was very excited to see that there is a Gluten Free weetbix out as she can&apos;t eat the normal stuff having Coeliac disease, so she has no choice to cut all gluten from the diet. She fell in love with the idea of finally having weetbix like everyone else in the family. With it made from sorghum which is gluten free, it was the perfect breakfast cereal for her. This was hopefully going to give her some of the things she is missing from not eating gluten richer foods. I love that this one is made in a separate factory so there is no way it can have cross contamination. Her words are its "yummy". I was very curious as to what this tastes like since I don&apos;t actually like Sorghum flour in baking so I don&apos;t put a lot in or use it in a mix with lots of other flours so this was going to be interesting. I took a mouthful and wanted to spit it out but with my daughter watching I had to swallow it, I felt it tasted like wet cardboard, I found it wasn&apos;t that nice, I have tried it with ice cream, sugar and fruit and I still get the same feeling, I really can&apos;t stand it. But my daughter loves it and that is all that matters to me. I think the price is a little steep for those that really need it that have to depend on eating Gluten free with no other choice to be honest, but then again its the price we pay to keep our children healthy. I do prefer this over the other cereals that she has access too but I am pretty sure she will go though the phase of getting bored of this one too and then it will come back as favorite again. I brought some for my daughter and myself after recent surgery and found my daughter didn&apos;t like the packaging because it was not Sanitarium weet-bix in a blue packet, but I put them in a blue box and she seemed quite happy to try it. I found it was a healthy alternative to medications to get movements working. I found after 2 weeks it had started the working parts again I wish I had tried it sooner. I have tried muesli but I find the chunky, healthy so-called bits take way to long to break down and pass unlike the gluten free bix. I think having 96% wholegrain that has already been broken down was far more effective putting the goodness in, as after a hernia surgery you can not afford to be blocked up at all. The pain is un-bearable and with the antioxidants of oats, being low in sugar is good in anyone&apos;s eyes. What goes past the lips goes to the hips totally and watching your daily intake without causing damage to tissue after surgery. I can highly recommend this product... funny in the old blue box my daughter was happy to eat it as well so it just shows you don&apos;t judge a book by its cover. Mind you, maybe if it was in a aqua blue box it might be more appealing maybe. 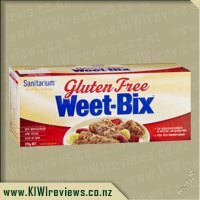 I was lucky enough to win a free box of Gluten Free Weetbix from Sanitarium&apos;s Facebook page. This was perfect as Mr Three is the only one in our family who is Gluten Free and I can sometimes be hesitant in purchasing products in case he does not like them as no one else will generally eat it. The pack size was perfect for my little guy and the packaging was appealing and would make me want to buy it. I liked that it had serving suggestions as fresh fruit with it too. TeAriki was pleased to be able to eat the "same" as his siblings come breakfast time and even requested another bowl! This is a VERY rare occasion and determined that this will be a regular on the shopping list from now on! I did try the Gluten Free Weet Bix for myself as I was curious to see how it compared to "normal" Weet Bix and was pleasantly surprised to find it had the same Weet Bix taste we all know and love as well as the same texture. A big ups to Weet Bix for creating a breakfast that Gluten Free people can enjoy. Now my little man can grow up a kiwi kid, a Weet Bix kid! 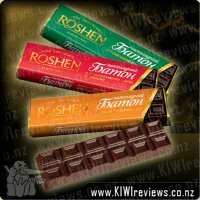 Bars of delectable Roshen chocolate, with a range of tasty fillings.